This article originally appeared on Medium. Reposted with permission. 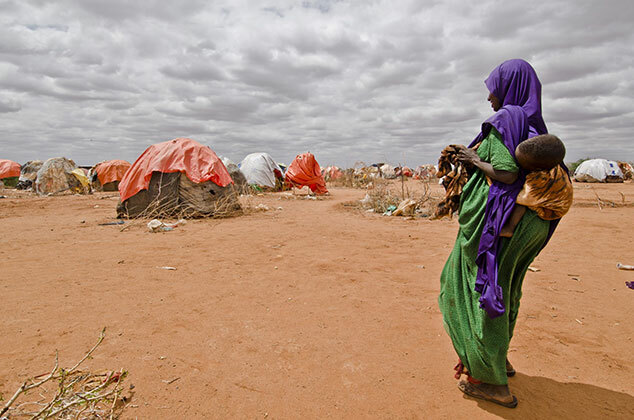 Addis Ababa — Climate change combined with conflict has resulted in a significant increase in the number of internally displaced people (IDPs) in Ethiopia in recent years. “Ethiopia is one of the countries experiencing large numbers of internal displacement — 2.6 per cent of its population,” said Mitiku Kassa, Commissioner of the National Disaster Risk Management Commission of Ethiopia, during the 109th Session of International Organization for Migration (IOM) Council in late November. “We only managed to escape with our lives — we did not carry anything with us, only our children, but I know there are people here who have it worse than us,” said Samir*, a 22-year woman who was one of the nearly one million people displaced from communal violence in Gedeo-Guji zones in March 2018. The responsibility for caring for displaced citizens falls first and foremost in the hands of national governments; humanitarians endeavor to support and enhance these efforts. In Ethiopia, IOM has been an active leader in the cluster system — coordinating shelter site management, water, sanitation and hygiene (WASH) and health efforts of humanitarian actors.